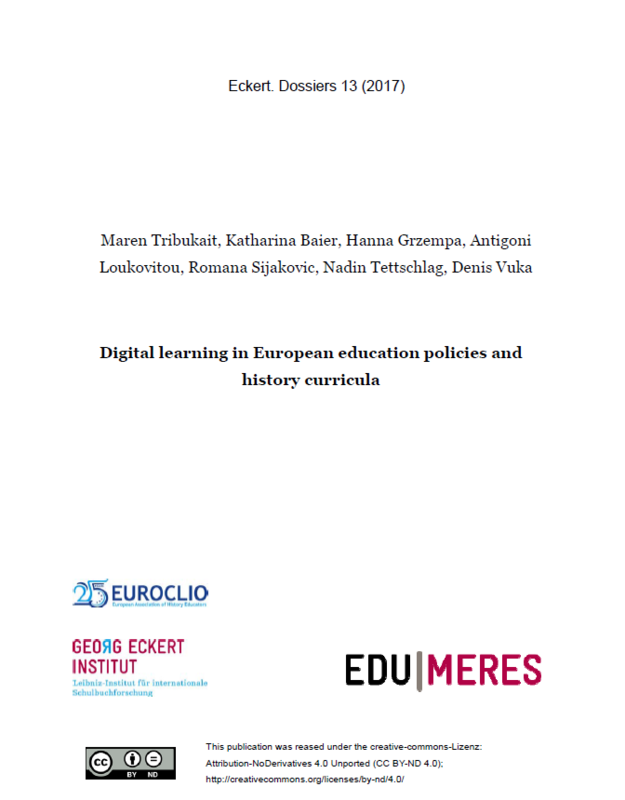 As part of EUROCLIO’s project Innovating History Education for All, project partner Georg Eckert Institute for International Textbook Research has been conducting a comparative analysis of digital learning in European education policies and curricula. Specifically, political strategies by the European Union, Albania, Denmark, Germany, Greece, The Netherlands, Poland, and Spain with regard to the digitisation of schools as well as the roles of curricula as schooling frameworks have been examined. The full report can be found as a downloadable pdf on the project website, alongside the earlier project publication by the Institute for Educational Research on the assessment of the needs of educators with regard to the use of ICT in history education and what topics are most addressed.